The Vinyls were born out of a desire to give people an alternative to bland ‘typical wedding band’ stuff! 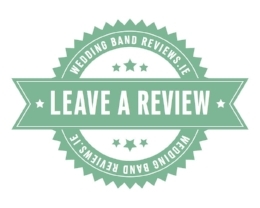 We want to make YOUR wedding synonymous with Fantastic music! That’s why we are set apart from ‘typical wedding bands’. Of course, weddings are multi generational affairs, but we believe both young and old deserve their music played well! Great music has existed throughout the decades, and THAT’S what we want to bring to your special night. We bring not only great music, but a professional attitude, reliability, and an understanding of the importance of your big day! 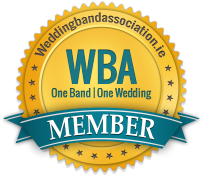 Consult us on the music you desire, and we can advise you using our years of experience in providing great music to wedding couples up and down Ireland. 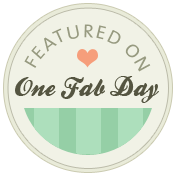 We also realise that every couple and their special day is different, so as well as providing you with our suggestions and repertoire, we also encourage you to invite us to learn songs that may be special to you. Just like all of the music we play, we do not take a request lightly, and will endeavour to do it the justice it deserves! Contact us for a quote, or with any questions you may have. We use Karl from DublinDiscoHire.Com. A consummate professional, in attitude, equipment and everything in between. He also has the most extensive playlist you could imagine. While many bands like to get a few extra Euro’s bringing along a laptop of music, we want something better for our clients! That’s why we partnered with a Pro! 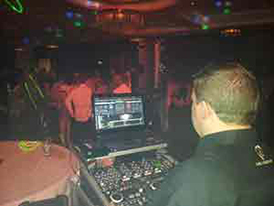 Remember to ask for the DJ service in your quote request.